A core value of our commitment to customer service is the extensive range of training programs offered to Genie customers. The commitment to exceptional product support is no better illustrated than the recent series of training courses conducted in Karratha, Western Australia. Karratha is the gateway to the vast Pilbara mining region. All of the prominent Genie customers servicing the Pilbara region with Genie® access equipment have branches in and around Karratha. So to provide the best support service possible, Michael Sandstrom (Technical Support/Training Manager for WA) spent five consecutive days of specialized training in Karratha. 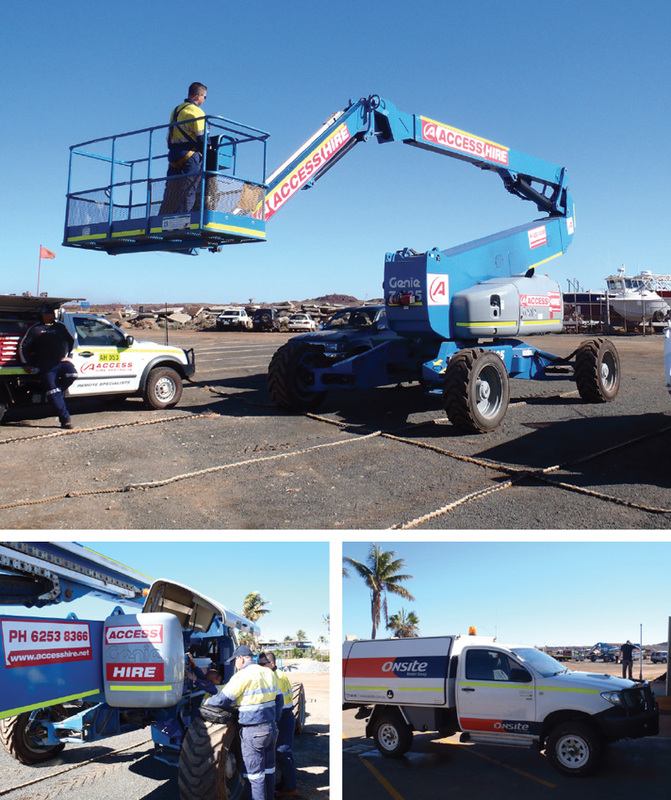 The first day was devoted to Genie® GS™-DC electric drive scissor lifts, day two focused on the Genie® Z™-80/60 boom lift while a full three days was devoted to the Genie® Z™- 135, one of the most prolific articulating boom lift models to be used in the Pilbara. Genie customers that participated included Onsite Rentals, Access Hire and Tru Blu. The training venue was organized with the kind support of Onsite Rentals Manager Craig Neil, who also assisted with transportation of Genie machines for the service workshops. The machines used in the training sessions were supplied by Alan Harris of Access Hire. “This training program was made possible through the wonderful cooperation of Genie and our customer group in the Pilbara,” Michael said. “This is an excellent example of the hire industry coming together for the common good in this remote region. The training programs ran seamlessly and as a direct result, our customers are now better trained and capable of servicing the Genie brand in the Pilbara,” Michael concluded.